Logan is obsessed - I mean... obsessed with Pokemon. 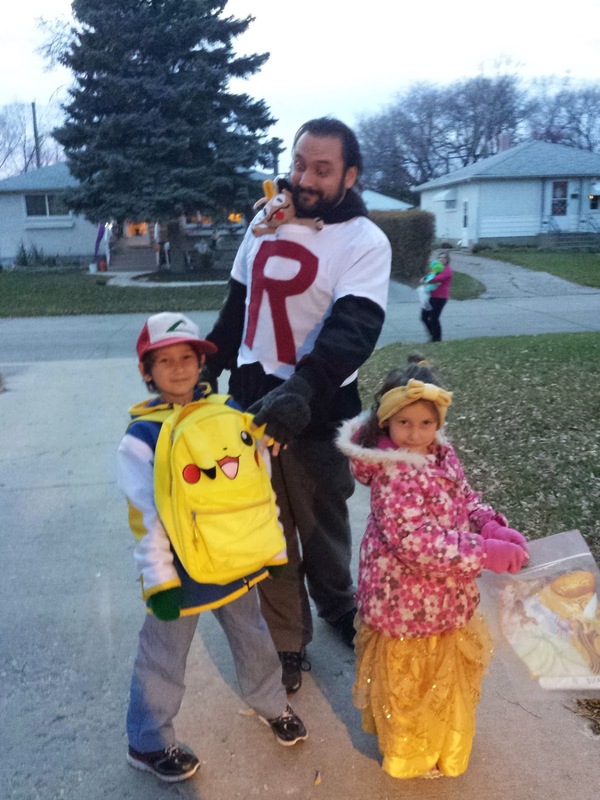 So of course he was Ash Ketchum for Halloween. 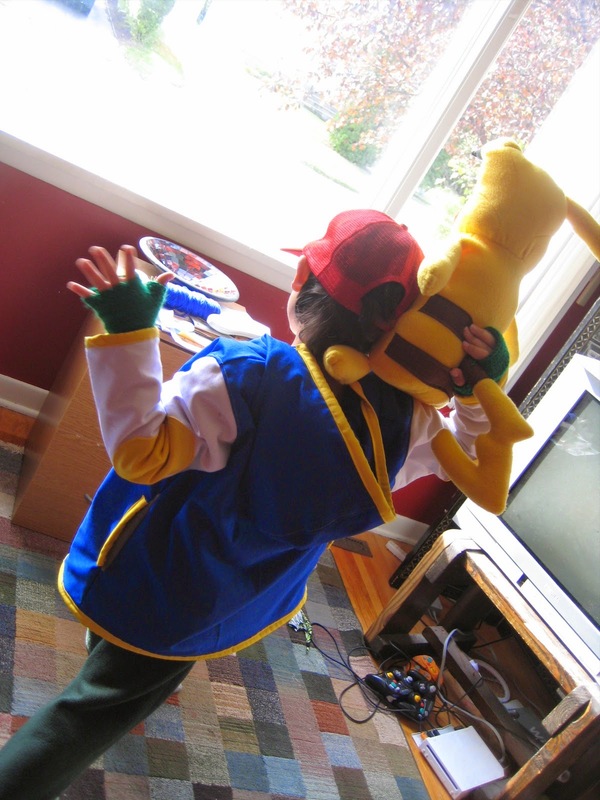 Ash Ketchum is a rather subtle costume though, because really he just looks like a little boy. Hmmm... Logan kinda looks like a little boy too. What to make to define Ash? Ash wears a blue vest. Well, that wouldn't do for Halloween in Winnipeg. I decided to make a full coat. I copied it the best I could except that I made a hood and full sleeves. The coat is also lined in fleece so that Logan can use it as a real coat - which I'm happy to say he has. He's been wearing this coat everywhere for a few weeks now. Phew! I'm glad he approves. I even got the yellow faux snaps as decoration on the top of the zipper and the yellow accents on the pockets. I put yellow accents on the sleeves as elbow patches as well because I figured that's what they might look like if Ash's vest became a coat. I ordered a first season Pokemon hat off of eBay earlier in the year so Logan had the proper hat. I then ran out on Halloween day and got him a black t-shirt to wear underneath. The trainer fingerless mitts were crocheted in the two-tone green colour earlier this month. Logan refuses to wear actual jeans because they never fit properly and make him uncomfortable. So I made him a pair of fake jeans by finding the lightest denim I could find and then making them as elastic waisted pants that Logan favours. Pikachu you already know about. 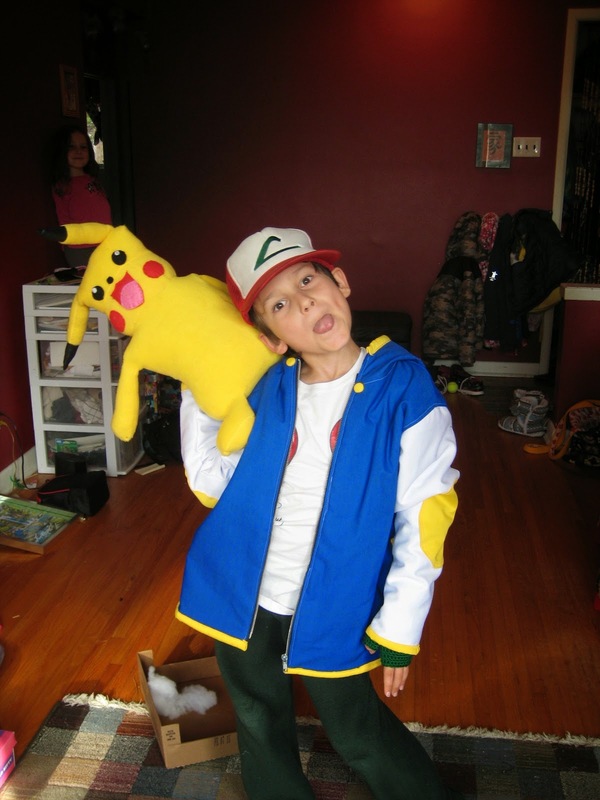 Logan also has a Pikachu backpack (also ordered off of eBay) that he wore to collect candy in for trick or treating. 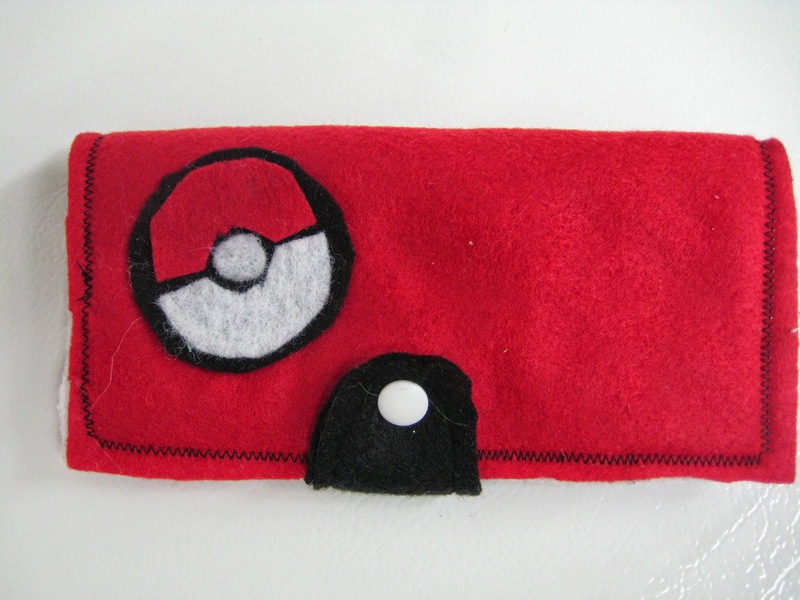 Just because I really love making Halloween costumes and I thought that Logan might get a kick out of this, I also made him a Pokemon badge case and the first season badges that Ash earned on the show. I glued the pieces of felt together and mounted them on pinbacks. 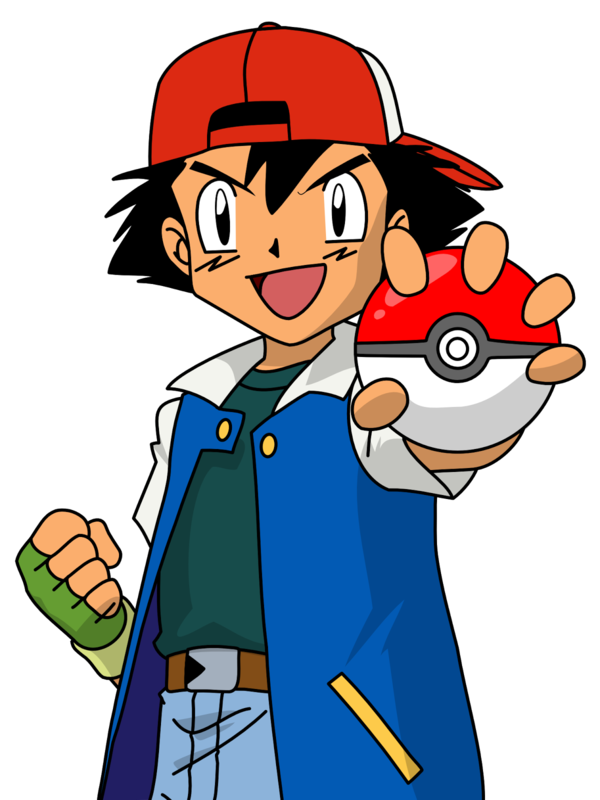 Well... that's the best I could do to make Logan into Ash Ketchum. I think the costume worked even in its subtlety. What do you think? 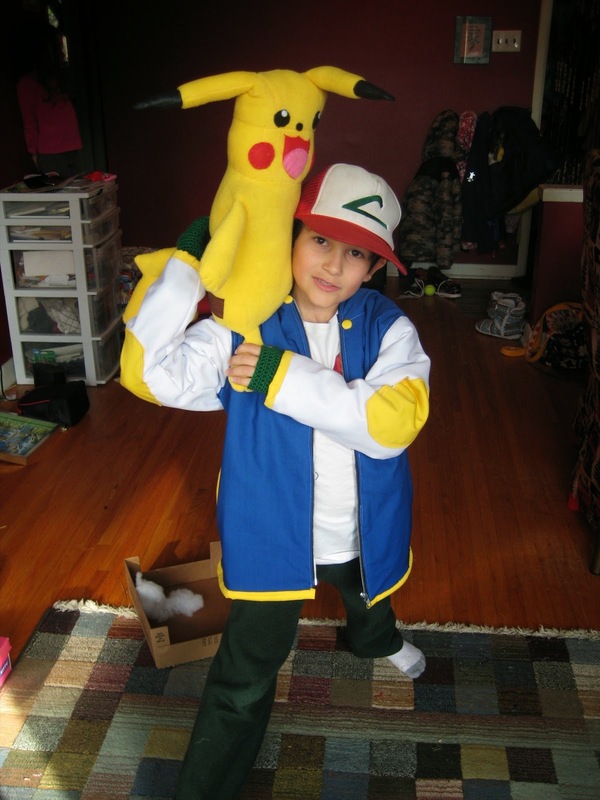 I love this Ash Ketchum costume! Very beautiful!